White House adviser Stephen Miller, a man whose IQ is said to be above 200 according to MENSA insiders, has emerged as President Donald Trump’s brain. 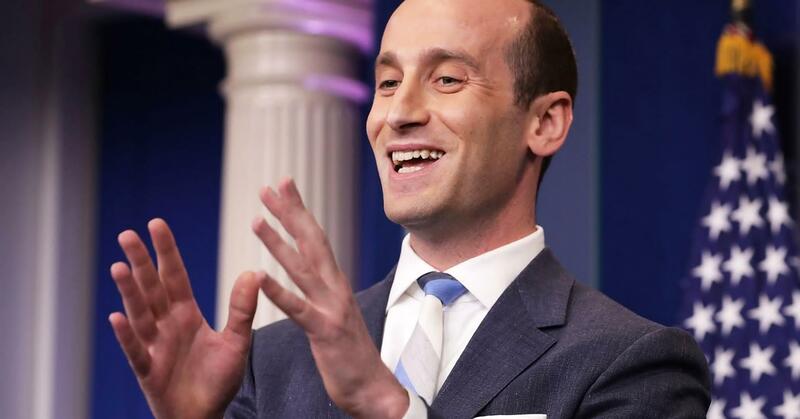 Miller’s Ashkenazi scheming has helped the Trump train stay on track as the President continues to achieve incredible results under extreme duress. A former aide on Trump’s communication team, Cliff Sims is releasing a book titled, “Team of Vipers: My 500 Extraordinary Days in the Trump White House.” The book will be on the shelves tomorrow, but certain excerpts have already been released to the public via The Atlantic. These excerpts show Miller’s Machiavellian genius on full display. “In the book, Sims writes that Miller played both sides of the “globalist/nationalist” split within the administration. At one point, Miller was former White House chief strategist Stephen Bannon’s “right-wing protege,” according to Sims, but later turned on him, “plung[ing] the knife” in Bannon’s back in a conversation with Trump before Bannon’s premature exit. Miller was smart for throwing ‘Sloppy’ Steve Bannon under the bus. Bannon was influential in helping Trump achieve Presidential victory in 2016, but quickly became a liability due to his disloyalty and his egotism. He had to go, and Miller rightly recognized that fact. Miller’s strategic alliance with fellow tribesman Jared Kushner, Trump’s son-in-law and trusted confidant, will also keep him in the picture for many years to come. If Miller’s vision is released, it means no more caravans, no more resettlement, no more federal funds given to NGOs to traffic these individuals, and no more assaults on our national character. It means America is made great again! God speed, Stephen Miller. You represent the Jewish people and the American people better than anyone else in the world. Keep it up, and you will have statues erected in your honor in both Washington D.C. as well as Tel Aviv! This was originally posted at The Schpiel.